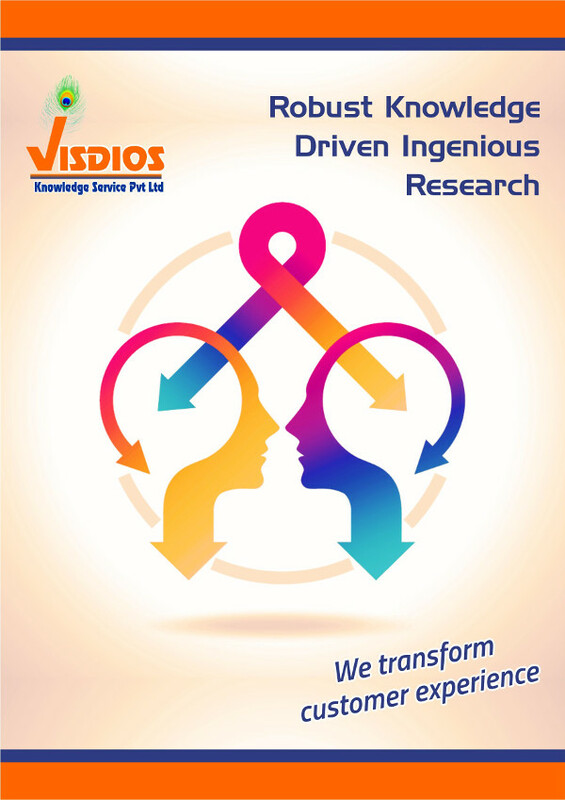 VisDios is a leader and innovative provider of knowledge intelligence solutions for Biotech, Healthcare, Medical device, Pharma, Life Science Companies and other service companies. We’re a team with diverse backgrounds, knowledge, and experience bound together through passion by providing outstanding support to our clients across the world. We provide customized solutions and expertise in solving critical challenges through creativity, technology and strategy. We constantly strive for new ideas and develop innovative approaches that drive growth across our business. Our secret of success is What we do, we do well. Our high standard goals and clear line of strategy is the roadmap to achieve our vision. Our mission is to help our customers with a commitment to excellence in all we do. Our vision is to be the trusted solution provider for our treasured customers across the globe. 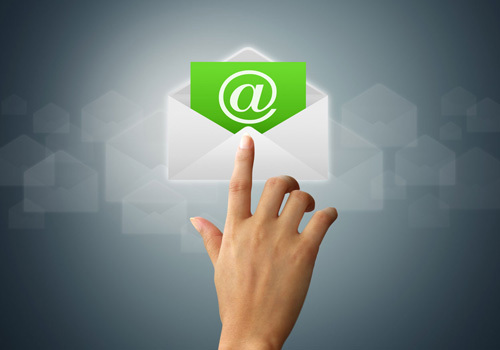 Need email address for someone you’d like to reach out? 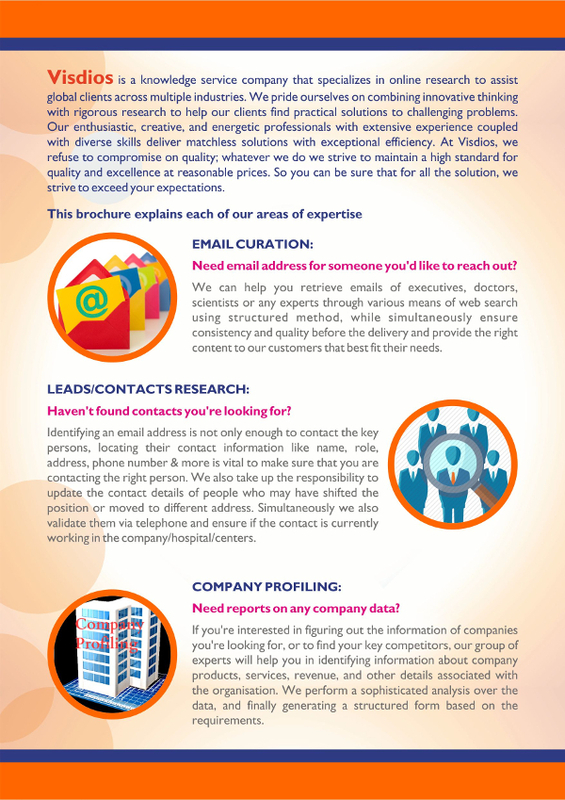 We can help you retrieve emails of executives, doctors, scientists or any experts through various means of web search using structured method, while simultaneously ensure consistency and quality before the delivery and provide the right content to our customers that best fit their needs. Haven’t found contacts you’re looking for? Identifying an email address is not only enough to contact the key persons, locating their contact information like name, role, address, phone number & more is vital to make sure that you are contacting the right person. We also take up the responsibility to update the contact details of people who may have shifted the position or moved to different address. Simultaneously we also validate them via telephone and ensure if the contact is currently working in the company/hospital/centers. Need reports on any company data? 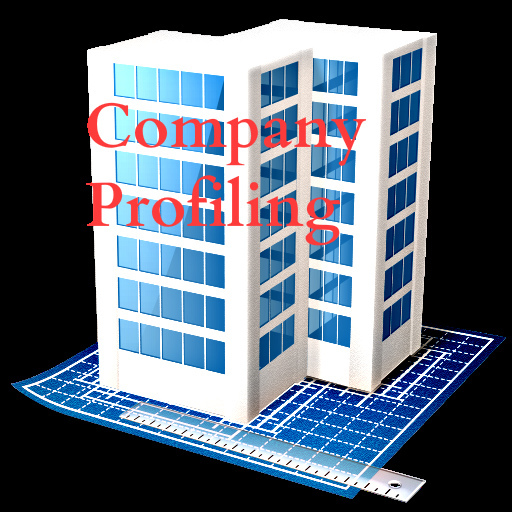 If you’re interested in figuring out the information of companies you’re looking for, or to find your key competitors, our group of experts will help you in identifying information about company products, services, revenue, and other details associated with the organisation. 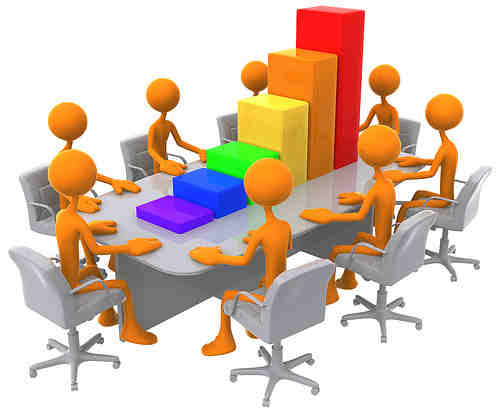 We perform a sophisticated analysis over the data, and finally generating a structured form based on the requirements. Searching for sources that suit your needs? Many kinds of information are found in more than one type of source. 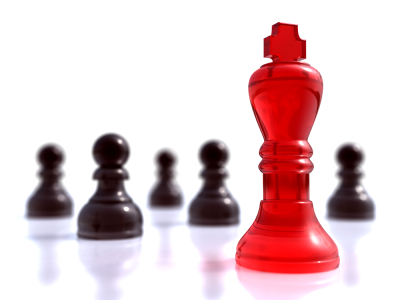 We hunt for appropriate sources of information using chosen keywords as required. 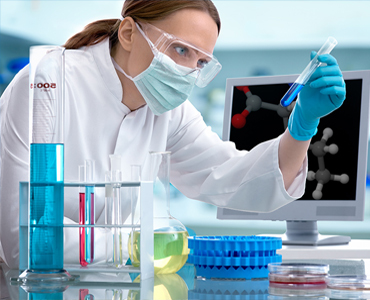 Moreover, we adhere a standard pattern of investigation and collect research data from multiple sources in the areas of biotechnology, medical, and pharma. Finally the crude data is processed and categorized into different segments that suit our customers’ necessity. 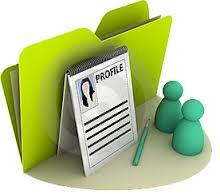 Do you need profiles of Experts? We identify and profile physicians/external experts/global healthcare professionals/scientists who are called as key opinion leaders (KOL’s) from varied therapeutic area. This helps our customer’s (pharmaceuticals, diagnostics and devices or any non-profit sectors) to accelerate analysis and decision-making across their product launch, conducting trials and developing more effective marketing plans. Does a biography of an expert really help pharma, biotech or medical devices companies? Yes. It does. 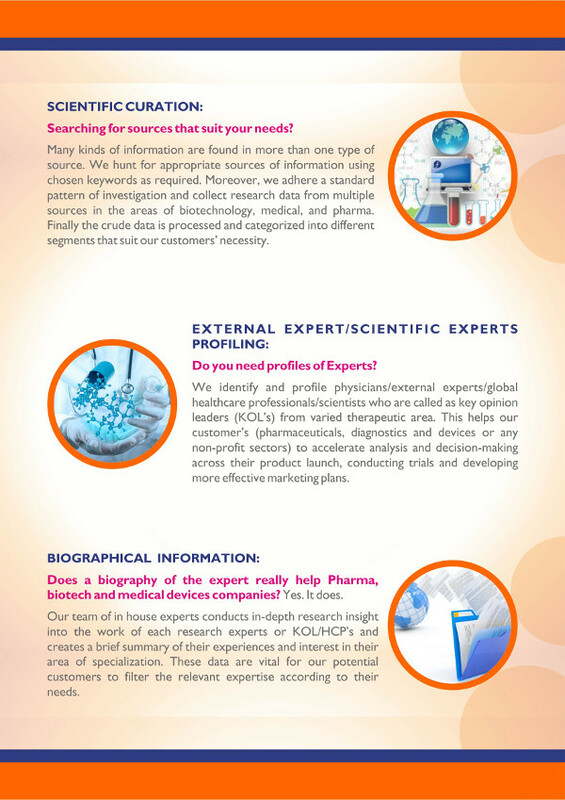 Our team of in house experts conducts in-depth research insight into the work of each research experts or KOL/HCP’s and creates a brief summary of their experiences and interest in their area of specialization. These data are vital for our potential customers to filter the relevant expertise according to their needs. Are you interested in having author’s publications? 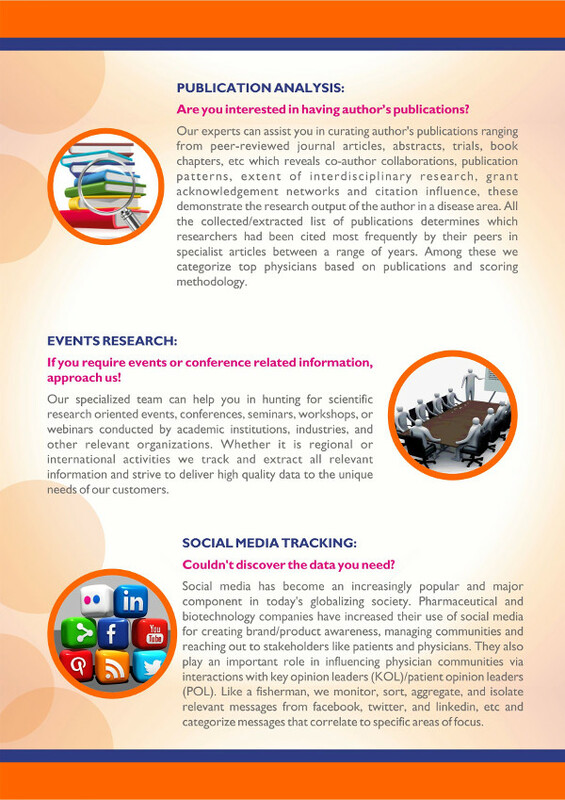 Our experts can assist you in curating author’s publications ranging from peer-reviewed journal articles, abstracts, trials, book chapters, etc which reveals co-author collaborations, publication patterns, extent of interdisciplinary research, grant acknowledgement networks and citation influence, these demonstrate the research output of the author in a disease area. All the collected/extracted list of publications determines which researchers had been cited most frequently by their peers in specialist articles between a range of years. Among these we categorize top physicians based on publications and scoring methodology. If you require events or conference related information, approach us! Our specialized team can help you in hunting for scientific research oriented events, conferences, seminars, workshops, or webinars conducted by academic institutions, industries, and other relevant organizations. 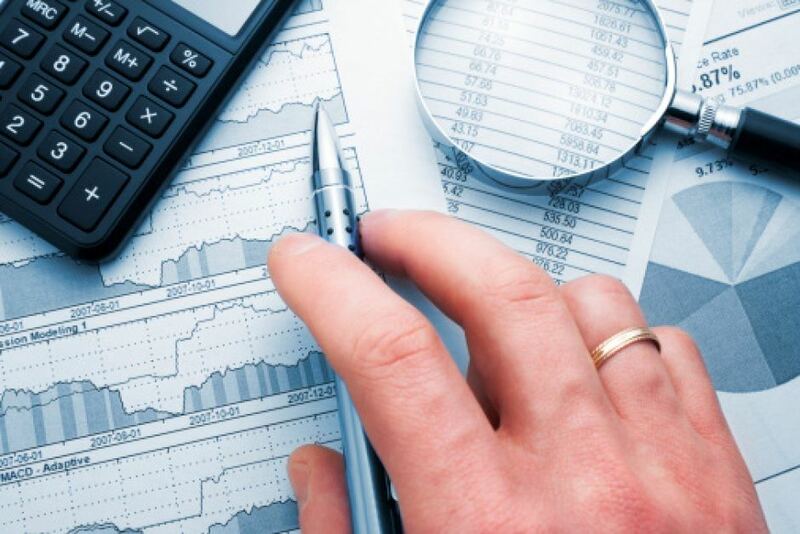 Whether it is regional or international activities we track and extract all relevant information and strive to deliver high quality data to the unique needs of our customers. Couldn’t discover the data you need? Social media has become an increasingly popular and major component in today’s globalizing society. 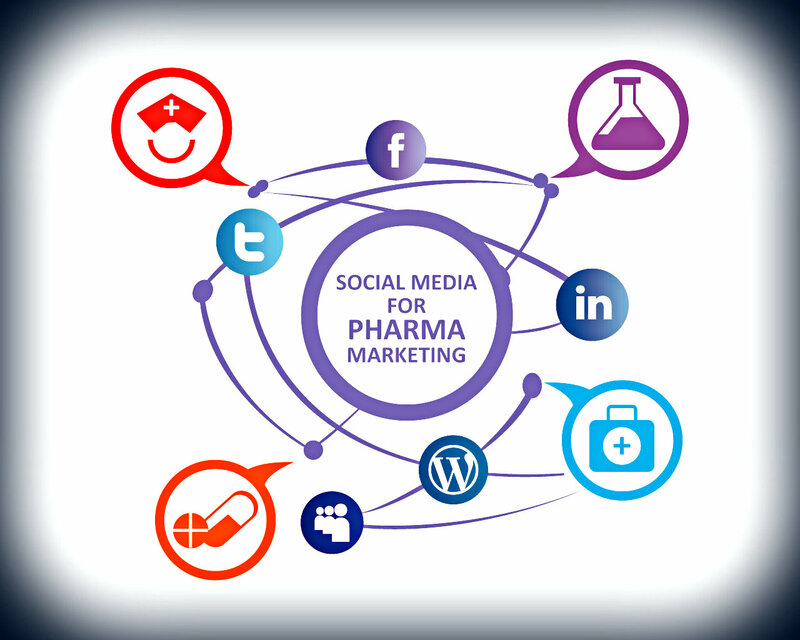 Pharmaceutical and biotechnology companies have increased their use of social media for creating brand/product awareness, managing communities and reaching out to stakeholders like patients and physicians. They also play an important role in influencing physician communities via interactions with key opinion leaders (KOL)/patient opinion leaders (POL). Like a fisherman, we monitor, sort, aggregate, and isolate relevant messages from facebook, twitter, and linkedin, etc and categorize messages that correlate to specific areas of focus. Would you like to have research studies or clinical trials data? Advanced tools were used by our experts in collecting and integrating the list of clinical trials data which will reflect the unique nature of the study. We search, retrieve and analyze information across global trials by disease therapy, and more. 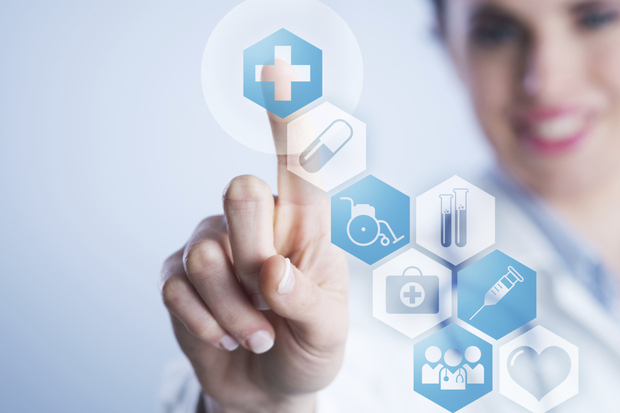 Through our unique method we can provide a complete and accurate picture of the clinical trials like identifying principal investigators, status of the trial, study type, and sponsors etc. Want to be competitive? Have our research report to manage your challenges! We help our customers spot the signs of competitor activity through innovative approaches to identify early signs of competitors’ moves. We keep a close track of competitor activity which is a part of the backbone of pharmaceutical marketing. 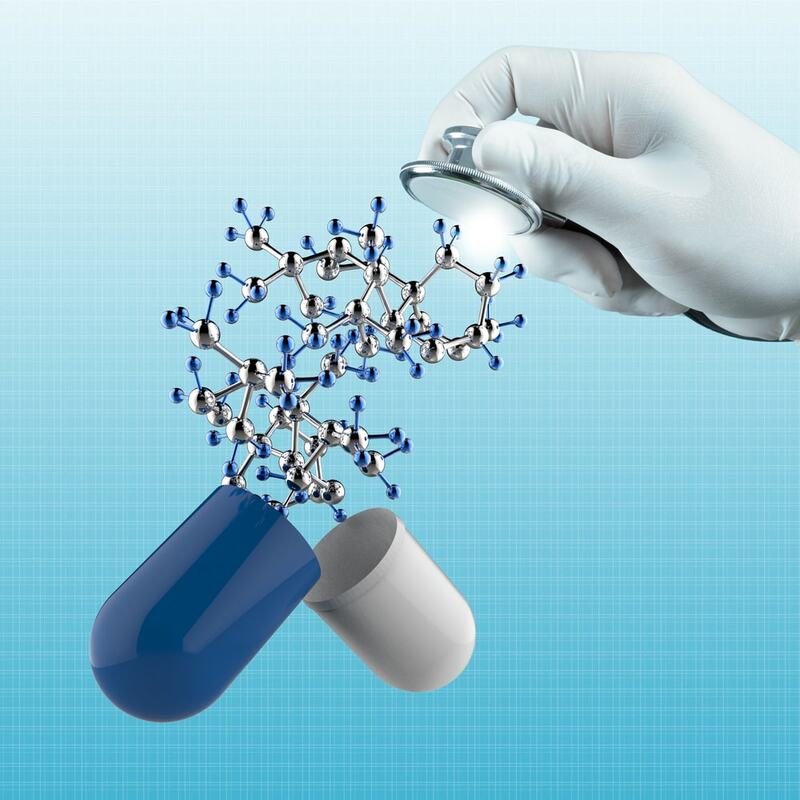 We focus on proactively monitoring the industry to receive alerts when key developments occur around drugs, companies, disease areas, and conferences organised by competitors. 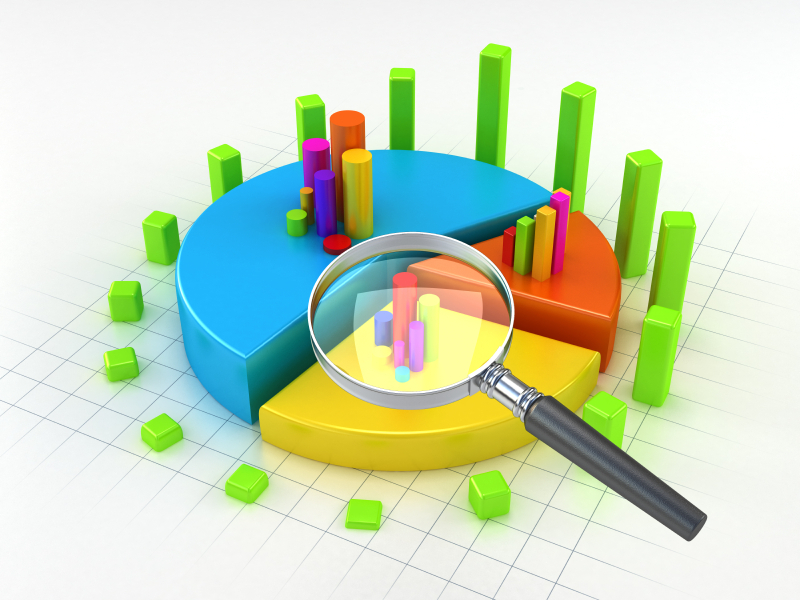 We investigate information from diverse sources, and create up-to-date reports with current approaches. Do you need an accurate forecast on pipelines? We are there for you! 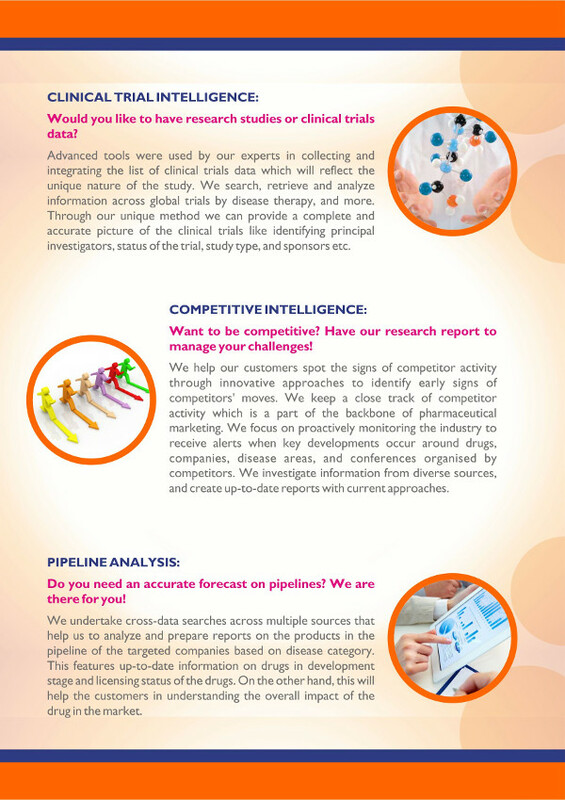 We undertake cross-data searches across multiple sources that help us to analyze and prepare reports on the products in the pipeline of the targeted companies based on disease category. This features up-to-date information on drugs in development stage and licensing status of the drugs. On the other hand, this will help the customers in understanding the overall impact of the drug in the market. Interested to have the refined data! We collect both structured and unstructured data from various sources and once analysed & processed all the data will be organized into a single document/spreadsheet based on customer’s requirement and deliver with best output. Our clients choose us because of our commitment to valued services. 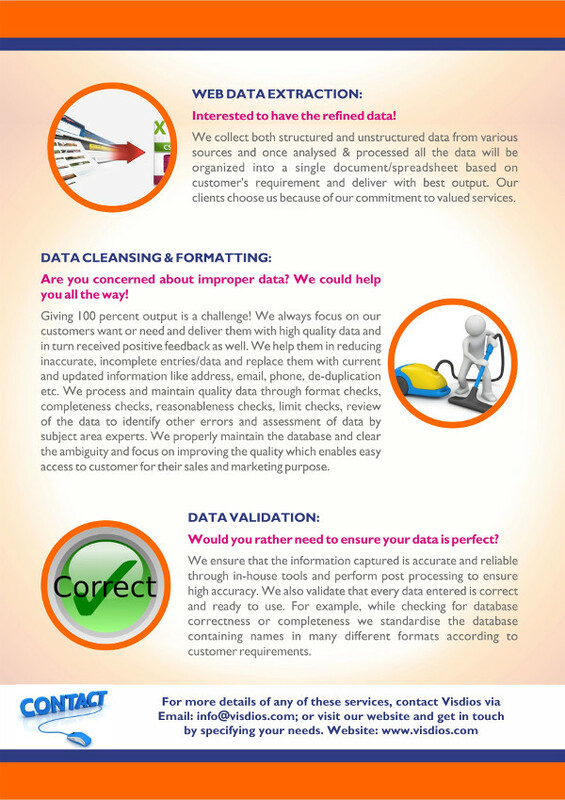 Are you concerned about improper data? We could help you all the way! Giving 100 percent output is a challenge! We always focus on our customers want or need and deliver them with high quality data and in turn received positive feedback as well. We help them in reducing inaccurate, incomplete entries/data and replace them with current and updated information like address, email, phone, de-duplication etc. We process and maintain quality data through format checks, completeness checks, reasonableness checks, limit checks, review of the data to identify other errors and assessment of data by subject area experts. 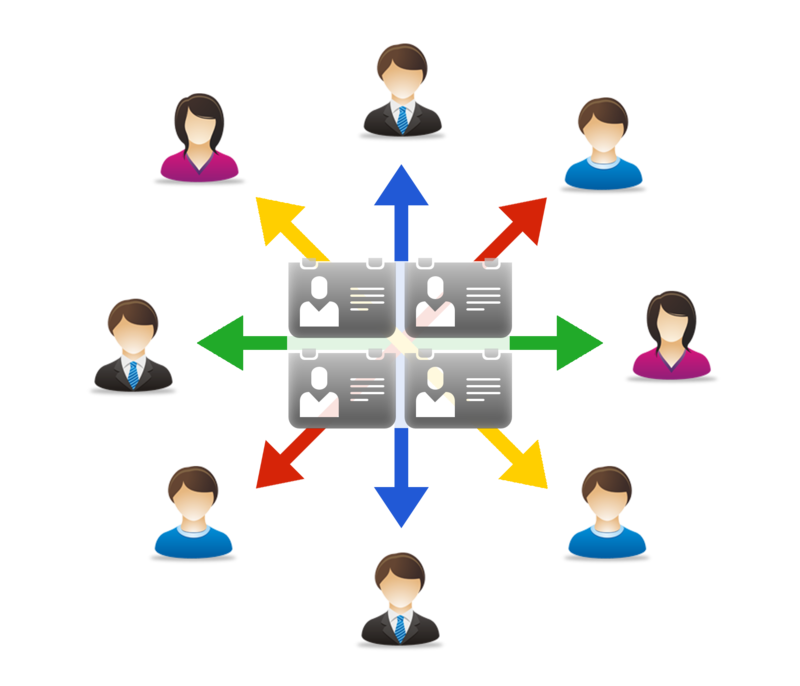 We properly maintain the database and clear the ambiguity and focus on improving the quality which enables easy access to customer for their sales and marketing purpose. Would you rather need to ensure your data is perfect? We ensure that the information captured is accurate and reliable through in-house tools and perform post processing to ensure high accuracy. 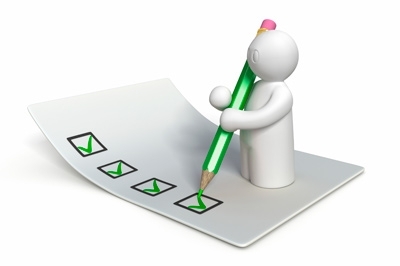 We also validate that every data entered is correct and ready to use. For example, while checking for database correctness or completeness we standardise the database containing names in many different formats according to customer requirements.